21st Century Leaders and celebrities including Sir Roger Moore, Dame Vivienne Westwood, Nicole Kidman, Penelope Cruz, Donna Karan and Charlize Theron have created items that can help spread Cupid’s message while treating your loved ones to a special limited edition Valentine’s gift that shows you really care – for them and the planet! 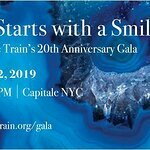 The items are available through Whatever It Takes, a unique artwork campaign launched by 21st Century Leaders Foundation which has raised over $4 million dollars for over 50 charities. 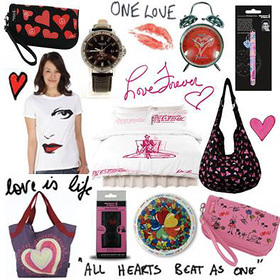 You can visit their shop at whateverittakes.org to view their range of ethically-produced celebrity-designed gifts. 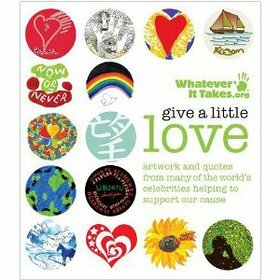 Also available via Amazon.com is the group’s mini-book, Give a Little Love – Whatever it Takes , which features artwork and messages of hope from 75 celebrities including, Ozzy Osbourne, George Clooney, Ewan McGregor, Robbie Williams, Giorgio Armani, Gary Lineker and Annie Lennox. Friends and supporters can currently get a special 10% discount at the whateverittakes.org website – just enter PROMO CODE: “Feb11” at the checkout. This excludes postage and packaging.